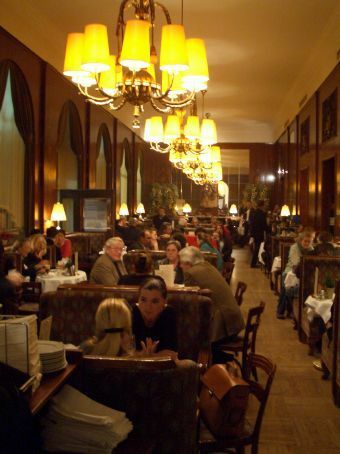 Inside the gorgeous Cafe Landtmann, one of Vienna's long-established cultural institutions! And a great place to while away 2 and a half hours reading all the English newspapers in sight, ordering various types of viennese coffees and, of course, indulging in an apple strudel. Mmmmm!